Designed in London by Tom Dixon, the Flask Pendant is inspired by the sharp and functional geometry of chemical laboratory glassware. 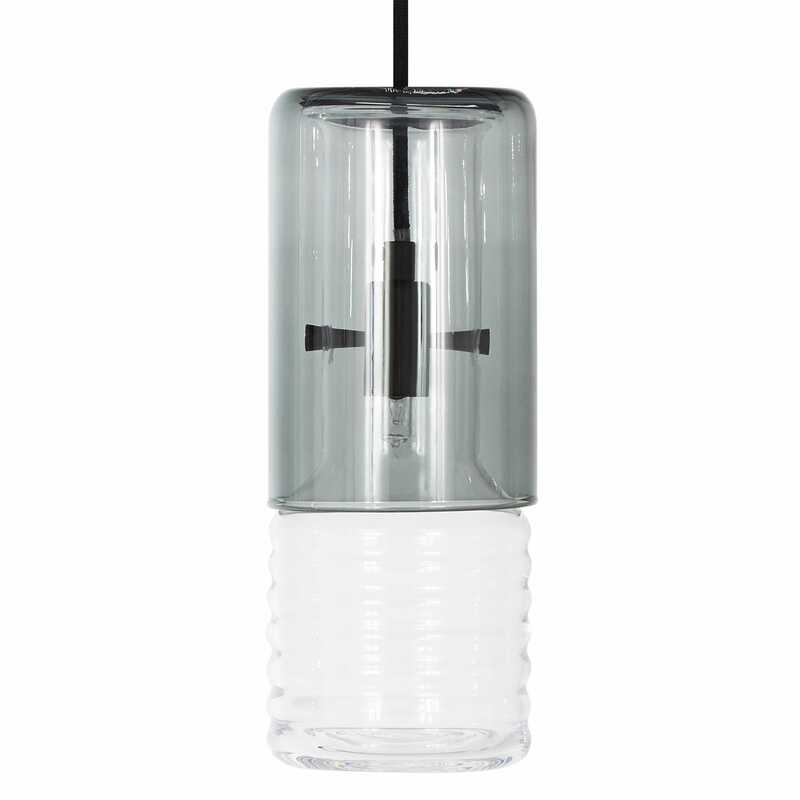 Each pendant comprises two components - a clear rippled glass lens that produces a series of concentric, luminous rings, and a black glass shade. 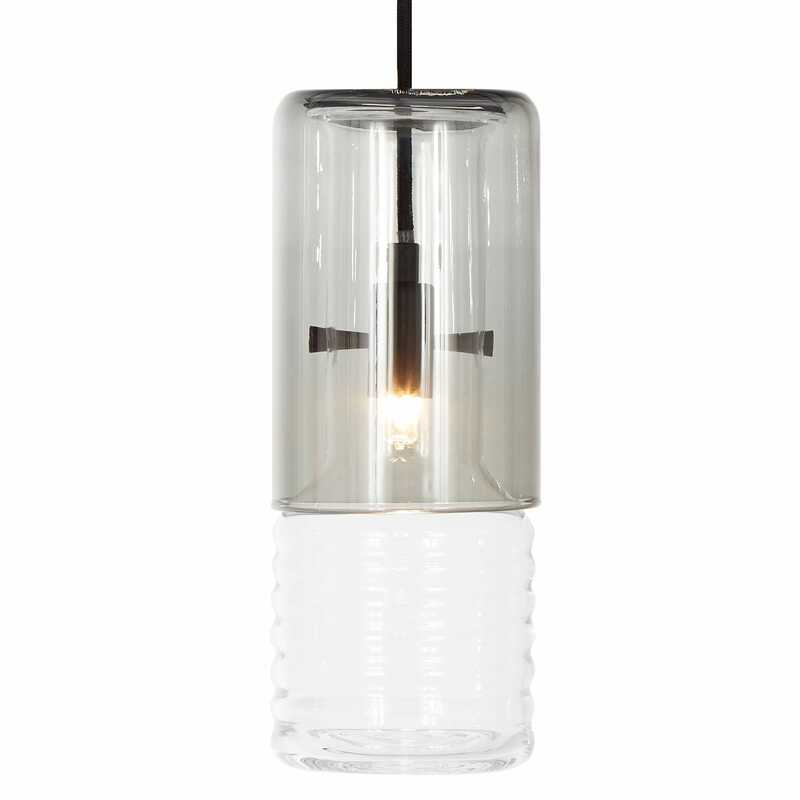 Complete with fabric cord, lighting fitting and ceiling rose, the Flask pendant is available as a ball, long and wide version that work mixed in groups or more formal arrangements.